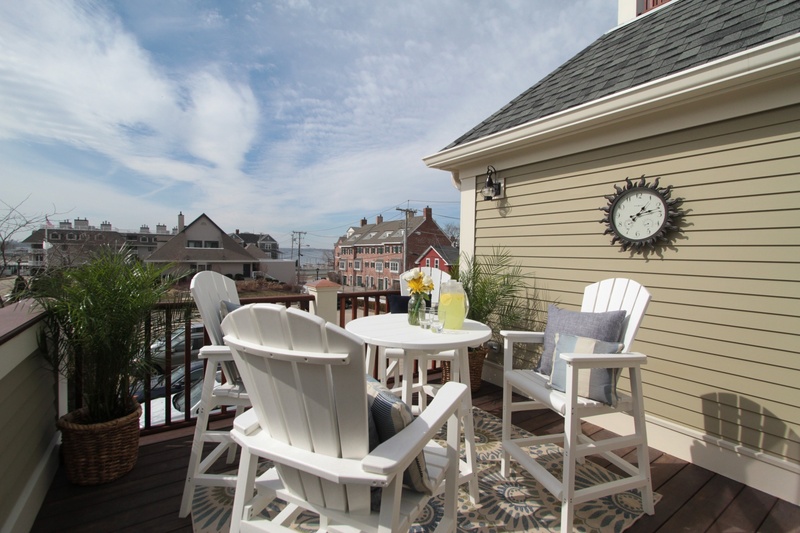 This vacation rental has one of the best rooftop decks on Thames Street, boasting views of historic downtown Newport and views of the harbor. Indoors, you can enjoy a fully equipped kitchen, large dining room with seating for 8-10, opening to a living room. Also on the first floor is one bedroom with a queen sized bed and bathroom. Upstairs, you can access the roof top deck through the second bedroom with king sized bed, en-suite bathroom and private kitchenette. 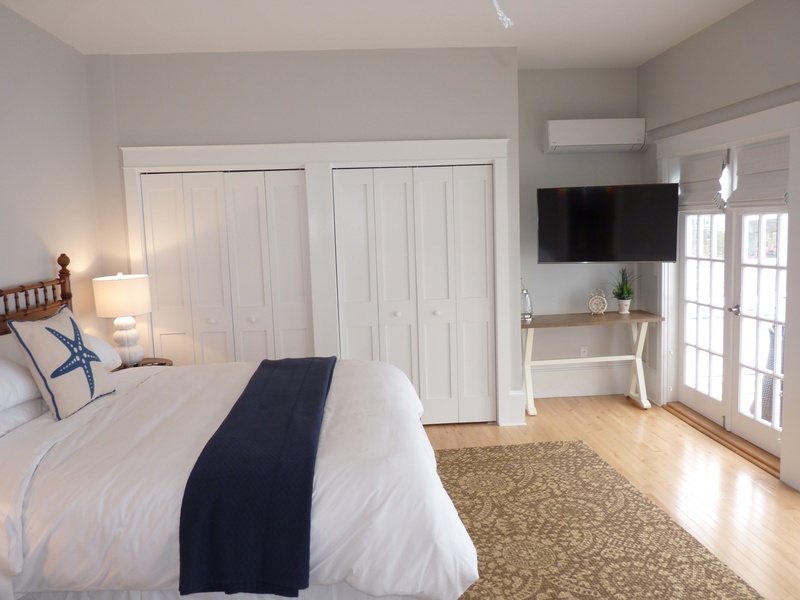 This vacation rental boasts two bedrooms, each with an en-suite bathroom. Cathedral ceilings and skylights in the living room and kitchen allow the Newport sun to beam into this loft, making it feel airy and bright. Access to all Newport has to offer is steps away with Thames Street just below. 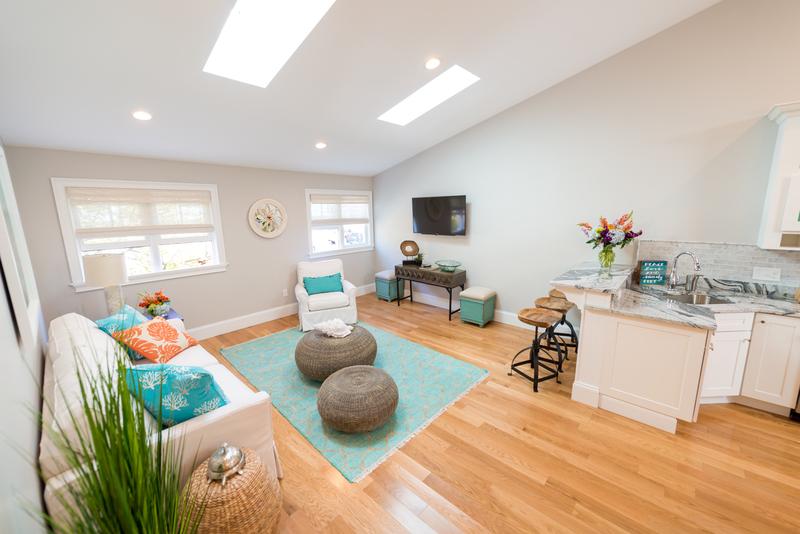 This vacation rental features an open floor plan and is just steps away from shopping, dining and Newport Harbor. Two bedrooms, each with an en-suite bathroom, surround the main living space. 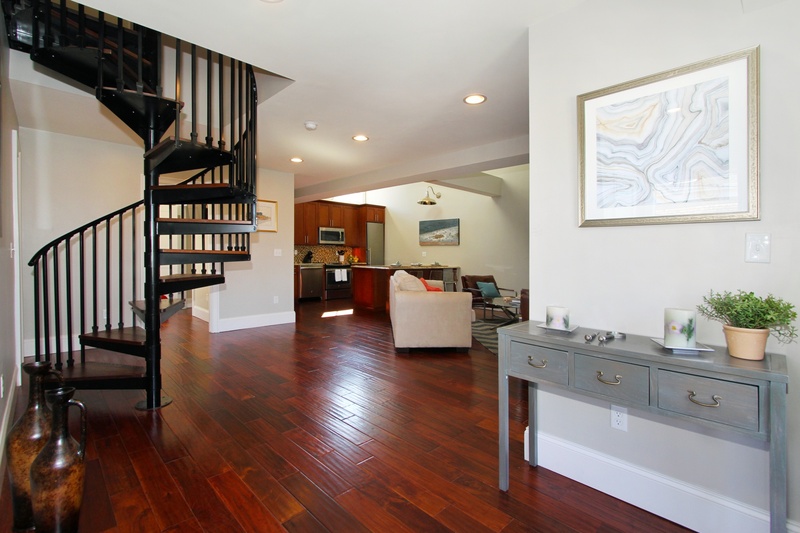 A spiral staircase leads up to the loft furnished with a pullout couch for added space for guests. This two bedroom, two bathroom loft boasts easy access all that Newport has to offering, with the bedrooms, bathrooms, living room and kitchen all on the same floor. 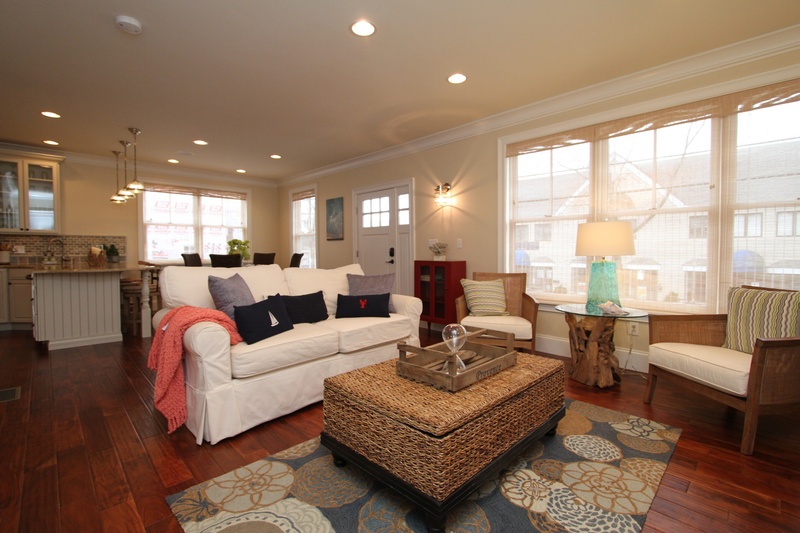 Off the main floor is private deck with glimpses of Newport Harbor. Up a spiral staircase is a loft with pull out couch and arm chair. This vacation rental opens to a large kitchen, living room and dining area. Surrounding the main living spaces, there are two bedrooms, each with an en-suite bathroom. This loft is just steps away from lower Thames Street and all the shopping and dining Newport has to offer.